Although these carburetors were originally delivered on the above cars, they are often transplanted onto other cars and engines. Consequently, the range of vehicles that these service kits might fit is much broader. 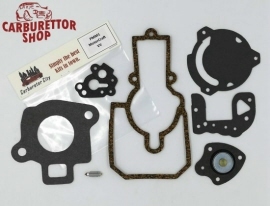 This is a Carburetor City carburettor service set, Made in Italy to the most exacting standards.